This 4 Bedroom + Den, 2 Bath, 3 Car Garage home comes with all the Bells and Whistles. Home is 2, 116 sq ft under air with a total of 4, 275 sq ft when you include your 1, 197 sq ft lanai with an oversized pool and spa with Electric and Solar heater! The Kitchen has been finished with Dark Cabinets, Stainless Steel Appliances, Granite Tile Countertops with lots of prep space. Designer tile flooring has been installed throughout the home! This home has an oversized driveway, complete landscape package with sprinkler system, flora tan sod and fenced in backyard! The interior has a Den area with French Doors, High Ceilings in living area, Blinds in the windows, Glass Shower Enclosure in the Master, Stand Alone tub in the master bath, Corian Countertops in the Master Bath and so much more. A Brand New A/C was put in less than 2 years ago! 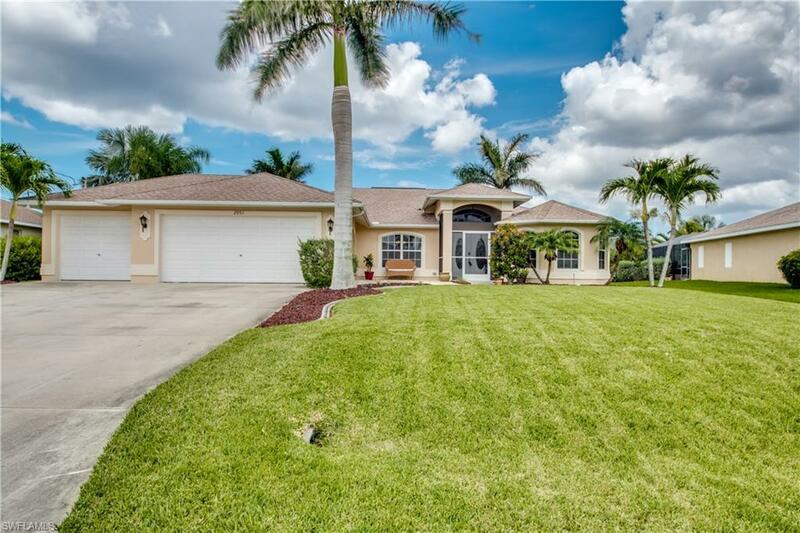 This home is located in the desirable SW section of Cape Coral and has a minimal balance remaining on the assessments. Courtesy of The New Home Spot Inc.